I recently checked out X-Men: Apocalypse (2016) with former bro-workers Philippe, Jeroen, Yannick, René, Mark and Pascal, making for a wonderful little reunion and a great chance for some serious fangirling over celebrity crushes Katniss Jennifer Lawrence and Sansa Sophie Turner. Admittedly, I'm not big X-Men connaisseur, so I went in basically with very limited knowledge of the X-Men universe. En Sabah Nur (Oscaar Isaac) is a powerful mutant ruling over ancient Egypt until he is betrayed by a rebellion. Upon awakening after thousands of years, he observes the new world and believes that humanity has lost its way without his presence. En Sabah Nur recruits Cairo pickpocket Ororo Munroe (Alexandra Shipp), mutant champion Angel, Psylocke (Olivia Munn) and Magneto (Michael Fassbender), upgrading their power to serve as his four lieutenants. 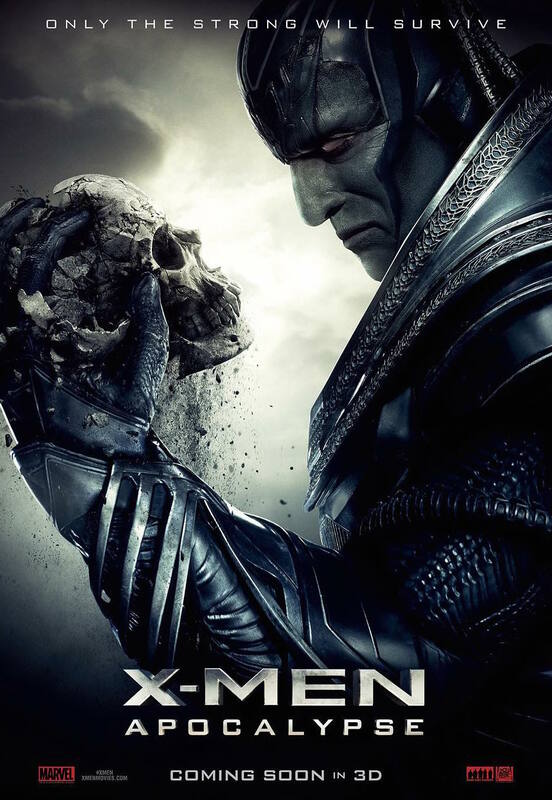 Shape-shifting mutant Raven Darkhölme (Jennifer Lawrence), on her part, discovers and frees Kurt Wagner (Kodi Smit-McPhee), bringin him to Professor Charles Xavier's (James McAvoy) educational institute, with Alex Summers (Lucas Till) doing the same with his little brother Scott (Tye Sheridan). The cast is big, the special effects are big, the bad guy is, well, bad ... Every individual gets the opportunity to shine as the movie slowly shifts into destruction mode.